Visit Agra Fort: - Constructed of the massive red sandstone Agra Fort on the bank of River Yamuna was begun by Emperor Akbar in 1565. In Akbar’s time the fort was principally a military structure, but during Shah Jahan’s reign it had partially become a palace. The auricular fort’s colossal double walls rise over 20m in height and measure 2.5 km in circumference. After Breakfast. Drive to Jaipur (approx. 5 Hrs.) visiting en-route Fatehpur Sikri: Once the capital city of Akbar after the childless Mughal was blessed with a son with the blessings of the Sufi saint, Sheikh Salim Chisti, who lived here. 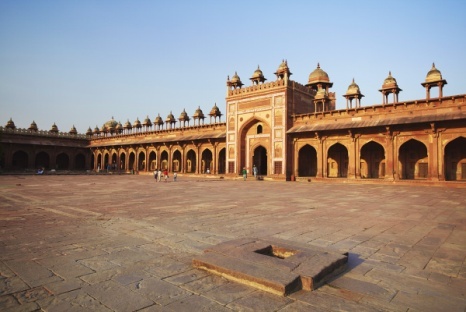 It is a perfect example of a Mughal city at the height of the Empire’s splendor. Arrive and check-in hotel. Arrive late & check-in to hotel. Rest of the day is free for leisure activities. In the morning, enjoy an elephant ride to Amber Fort. In the afternoon, take a road trip to the Jaipur city covering City Palace, Jantar Mantar, Nawab Sahab ki Haveli and the local bazaars etc. Thereafter, Explore the city starting from the Pink City Palace which now houses a museum containing rare manuscript, painting and an harmory; visit the Palace of Winds-a Landmark of Jaipur made of pink sandstone and of unique design. Also visit Jantar Mantar-Observatory (Astronomical instrument). Morning after Breakfast, Drive Back to Approx 5 Hrs. On Arrival Delhi, our car will drop you to Hotel or Airport for further destination. •	03 nights’ accommodation at above hotel mentioned, twin sharing with breakfast. 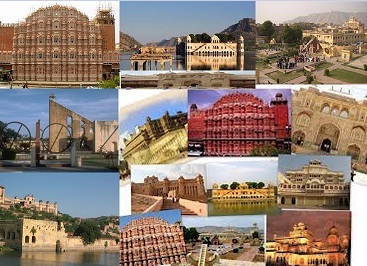 •	All transfers & sightseeing tour by using AC Car. •	Entrance fee at all monuments as per program. •	Elephant/jeep ride at Amber fort. •	Water bottle will be provided each Pax during the tour. •	All currently prevailing taxes on the Hotels, transport & government service tax. •	For 01 Pax travelling they accommodate in 01 sgl room only. •	For 02 Pax travelling they accommodate 01 dbl room with twin sharing basis. •	Any personal expenses - telephone calls, laundry, shopping, and table drinks etc. •	Any additional expenses caused by or liability for disturbance in the trip due to circumstances beyond our control such as airline & railway delays, roadblocks, vehicle malfunctions (mechanical breakdown) and other conditions like sickness, natural disasters, wars etc. •	Liability for insurance against injury, loss of life, accidents, damage or loss of goods. •	Gratuities for guides and drivers.